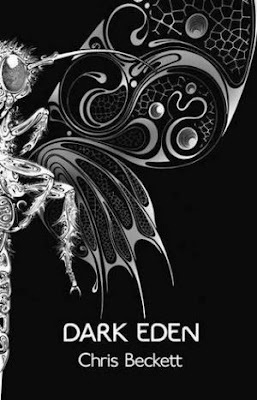 Dark Eden improved quite a lot for me with time and re-reading as I started really appreciating the style of the author and outside of the review linked above you can find a few more comments about it and more of Chris Beckett's work HERE. Heavy in post apocalyptic and near future which are sub-genres of sf I am staying mostly away from today as there is only so much one can read about postpocalyptic and not start being meh, not again, while near-future generally involves gross oversimplifications - mostly on ideological grounds - and that bores me to no end. This being said I browsed The Dog Stars: good prose but nothing really of interest, Angelmaker: another London with supernatural and I am really getting tired of that, plus life is too short to read Nick Harkaway's logorrhea unless it is really original like in his wonderful debut and not a rehash like here, and Intrusion: loved almost all of Ken McLeod's novels including the fun The Restoration Game but this one is ideological self-serious stuff that I have no interest in as it is as relevant as any transient political commentary and again life is too short for such. I also forced myself to finish - in the sense of turning each page and scanning the contents - 2312, which was ambitious true, but boring, without any sense of atmosphere and with scenes straight out the old masterpiece theater series where characters are supposed to be in interesting places/situations but all you see is an empty scene with them talking and noise in the background and to top it all said characters being quite unrealistic (100+ years old behaving like current teens...). Lastly, no chance to browse Nod yet, but again no real interest as mentioned. So almost by default - though again today I have a high regard for it and regardless of my tastes I think it is the best novel of the six as it combines great style and pretty good sf - Dark Eden was the favorite for me and it won! 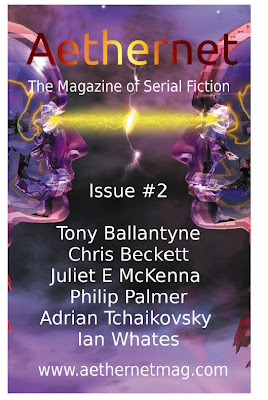 Here is the original post introducing Aethernet and having a short review of the contents of issue 1. Gela's Ring is still the heavy piece - and now considering how Dark Eden won the Clarke and this is its sequel a few generations later and dealing with the fallout of the events in that book, I expect even a higher profile - but the new novel by T. Ballantyne, Cosmopolitan Predators - wacky space opera on a weird libertarian habitat so far with an excerpt HERE that should hook you on the spot - was just as good and intense in a very different way. 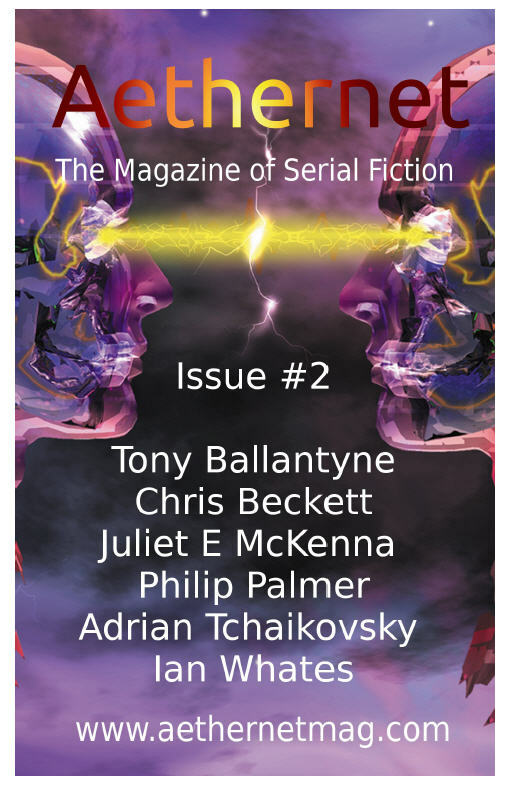 The Tchaikovsky installment started moving well and going beyond the light parody of classic sword and sorcery from issue 1, while the McKenna and the Palmer ones were very good, one suitably tense, the other suitably darkly funny; the UF London stuff from Ian Whates is still ok and acceptable in small chunks despite my general dislike of such and overall a superb issue that made Aethernet a true must read.